Go check your electricity meter box. Is the wheel turning and clicking over, recording your power usage? Probably. Now go back inside, and turn everything off. The lights, the coffee maker - even the fridge - and check your meter again. Is it still turning and clicking? It probably is, if even a little bit. You are a victim (and wanton consumer) of standby power. And you are paying dearly for it, in more ways than one. Standby power (also called phantom power or a phantom charge) is the power consumed by appliances even when they are turned off. If it has an external power supply (power cords with blocky power adaptors), led lights, a remote control, or any sort of continuous display, you have a standby power culprit on your hands. Even your television, which may not have any led lights or displays, consumes a shocking amount of power (pardon the pun), simply waiting for you to pick up the remote and turn it on. What is the cost of Standby Power? 1 watt of standby power equates to about $1/year in consumption. This may not seem like much, but when you have 40+ appliances in your home drawing an average of 5 watts when they’re off, this can add up. Up to 10% of residential electric charges are attributable to standby power, and about 1% of global CO2 emissions are the result. Although this may still seem small for some, let’s remember that this is a form of consumption that serves no purpose; everything is off. You gain little to no benefit from this consumption – and cost. If you invested the $200/year you spend on standby power, you could have over $24,000 in 30 years (at 8% average growth). What in my home consumes Standby Power, and how much? As stated earlier, if it has a led light, continuous display, remote control, or external adaptor, it is a standby power culprit. Computers are huge offenders, especially if you like to leave them in sleep mode: laptops draw almost 16 watts, and desktops over 21 watts. Even turned completely off but left plugged in, you will draw up to 9 watts. And if you like to leave your laptop plugged in while using it even if it is charged, you are drawing almost 30 watts of unnecessary power (not to mention destroying your laptop’s battery life). Do you have a digital cable box sitting on top of your television? The digital cable box – while off - is pulling 17 watts, and 43 watts if you have a digital video recorder. Your television is consuming an average of 6 watts, just waiting for you to turn it on. To find out what in your household is consuming standby power and how much, check out this great chart. How do I reduce my Standby Power Usage? Unplug everything that is not currently in use. For ease of unplugging, use a power strip and switch it off to cut power to multiple appliances at once. If you have a wireless modem, turn it off when you are not using it. This is also a great security measure to ensure hackers don’t have access to your internet connection and devices. Don’t leave your laptop plugged in beyond the time it takes to charge (and make sure you unplug it from the wall; don’t just disconnect the adaptor from the laptop). This also saves your laptop battery life. Check out products like Green Switch to help you automate the process. Together, let’s save our money - and a little piece of the environment – by reducing our standby power consumption. It is easy enough once good habits have been developed. And who doesn’t want to save money? I mean, really? Oh dear, I didn't know a tiny LED standby light actually represents such a costly waste. Thanks for the tip. LED lights themselves are actually very efficient; a tiny indicator uses a totally insignificant amount of power. The trouble is that the light shows your device is doing something with electricity, and it's not just illumination. I've heard of phantom power before, but didn't realize how big a chunk of my electric bill it could actually be. Thanks for the tips. I will definitely install some sort of control device so I can turn everything off at once. I never would have thought of the wireless modem. Thanks. And Nora? LOVE the new haircut! Very chic. could you let me know where to get 8% on my money over 30 years. I love when people make claims like this. You will end up spending the money not saving it. It will go into the general fund like everyone else. it comes to about $16 per month according to your calcs. will it help...yes by how much...very little. About as much as the stimulus plan....now that's a joke. Also look at "automatic" processes that waste energy - we turned our dishwasher's hot-air dry off and saved about $10 per month. We only use the dishwasher twice a week, so I was really impressed. @Mark: Yes, it's only a tiny amount. But I'm not focusing on the dollars saved. Imagine if every home turned off their tv, laptop, dishwasher, ect. when it wasn't needed. It would save a tremendous amount of electricity and fossil fuels! Small changes, implimented by many, add up to a big difference. I agree with you on many of these, and I have three power-strip setups for just this sort of thing, but certain items (some of us still use VCRs, for instance) will reset themselves when the power is disconnected or turned off. Be careful when choosing which devices among your entertainment array to unplug, or you may lose your recurring programming. That chart you linked to says a laser printer draws 131w when on, which is pretty scary. We disconnected a second (small) TV and cable box in one room. We ended up saving something like $15 a month on our electric bill--without doing anything else. Unfortunately, we have a number of items (Cable box, cable modem, etc.) that cannot be shut down without having to either be restarted by cable company (long wait on hold on phone) and/or totally reconfigured. Even with energy efficient appliances (We saw a huge drop in our electric costs when we got a new fridge last summer), we're still paying a bloody fortune for a one-bedroom apartment thanks to increases from Con Ed. Our KWH usage is cut by a third and we're still being squeezed by Con Ed. We'd all love to have solar panels and get off the grid. Sigh. The dreams of city dwellers. "not to mention destroying your laptop’s battery life"
I don't think that's true. Laptop batteries have a finite number of charge cycles. If you constantly drain and recharge your battery, as suggested by this advice, your battery will die young. The rest of the advice is good, thanks! Actually, I just called the tech support for my new 18.4" laptop (bought as a desktop replacement, thus can be always plugged in) and they recommended I take out the battery to prolong its life, instead of constantly charging and/or recharging. The particular battery I'm using would cost $130 to replace, so it may not be worth it to wear out the battery in order to save a few dollars on electricity. Ah, I'd agree with that--removing the battery completely. If you run without the battery, your computer will die instantly if power is cut off for any reason (playful cat, power outage, etc.) and you will lose any unsaved work. Just something to think about if you're running battery-free. FWIW, I work for a software company that provides laptops and is quite diligent about keeping hardware costs down - no one has ever suggested to us that we run without our batteries to save them, and I have never had one wear out despite constant use. These are all great comments, and good suggestions. 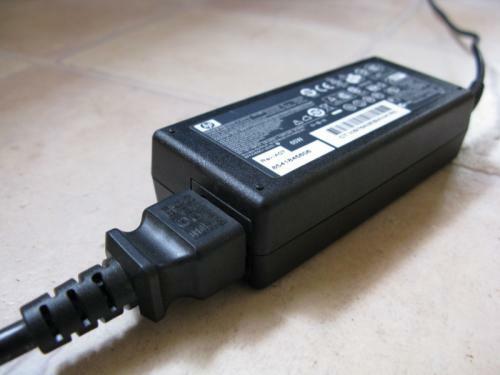 In regards to the laptop battery issue, let us remember that the point of the exercise is to save on power consumption, along with saving money. By removing the battery, you will draw an average of 30watts (instead of the 44watts it takes to charge the battery too) which is a nice savings, and a great idea. Just be sure not to leave the laptop on, nor to put it in sleep mode when it is not in use. As for the 8% average annual return debate, this is an old one. On average, over 30 years, experts agree that 8% is a reasonable rate of return to achieve with a well-diversified portfolio; some would even call this conservative. In a down market though, I understand that it is difficult to see the forest through the trees. Hang in there! Thank you. I kinda suspected that, but did not realize it eats up that much power. For someone who "watches" TV by leaving it on in the background, its just not worth it. We had a home energy audit and discovered that although leaving our primary TV, VCR, DVD and home theater system plugged wasn't too bad as far as vampire usage, leaving just the sub-woofer plugged in cost us $2.65 per month!!! The other two TVs were also costing us around $2.50/apiece in vampire power and the silly power adapter from my electric pencil sharpener cost $.50/month while sitting idle. Everything we own is now only plugged in immediately before use then immediately unplugged (coffee, toaster) or on a power strip. Just be careful ... some of the older electronics don't take too kindly to being repeatedly unplugged (our large-screen TV would take two hours to "warm up" after being unplugged so we got rid of it). Thanks for the reminder on this . . . time to do a walk around to unplug things! I am aware of the many trickle consumers, and have curtailed some of them. But, I think one extra use of the clothes dryer wipes out a lot of modem downtime. We have a Bose radio just waiting for the remote to wake it up; a telephone answering device with a clock and message counter, and charger for the cordless phone; and a furnace waiting for the thermostat to call for heat; a clock driven lamp in the living room, which doesn't reveal how much it draws to run the clock; and a clock driven line outdoors that powers the block heater for the car (cold climate here, so I have it come on around 4AM to make the car easier to start at 7); almost forgot the garage door remote. Wow.. I did not know they burned that much power!! That's crazy!! I also had the same experience when I unplugged a cable box. About $15 a month saved. Get rid of premium along with that and save even more. Generally, any power adapter that feels warm to the touch is wasting energy. That's where the heat comes from, and if you are in a warm climate, you waste even more on air conditioning to get rid of this heat. I crawled under a desk last year, and it felt like an oven, so I replaced the network equipment with more efficient stuff and now it's nice and cool. Energystar.gov has lists of compliant stuff that you can check before you buy. Not just for big things like refrigerators and TV's, but also little stuff like air cleaners, battery chargers, cell-phone adapters, etc... I always check there before I buy. For computer people, there is a relatively new certification for power supply efficency you can check out at 80plus.org. Regular power supplies are generally most efficient at a single power draw, and even then they don't get higher than about 65-70% efficiency. Newer 'switching' power supplies are more efficient, and the 80plus certification means the power supply gets at least 80% efficiency at low, medium, and high power draws. With changes like these, as well as other lifestyle changes, my electricity bill dropped from about $128 a year ago to $66 this month. You also lengthen the life of what ever you unplug, save'n you more money in the long run!